Congratulations! Nice to see a Czech winner! WOO! Congrats! That's so generous of you. You both are amazing quilters! I love that ornament quilt. Love love love. Congrats on the win! That was nice of you to share your winnings to your quilter! I think the long armers quilters are often overlooked in quilt competitions! I really wanted to participate in the QAL but I thought it came up at short notice and didn't run for very long to give people a chance when I think most of us have busy lists of things to do already! 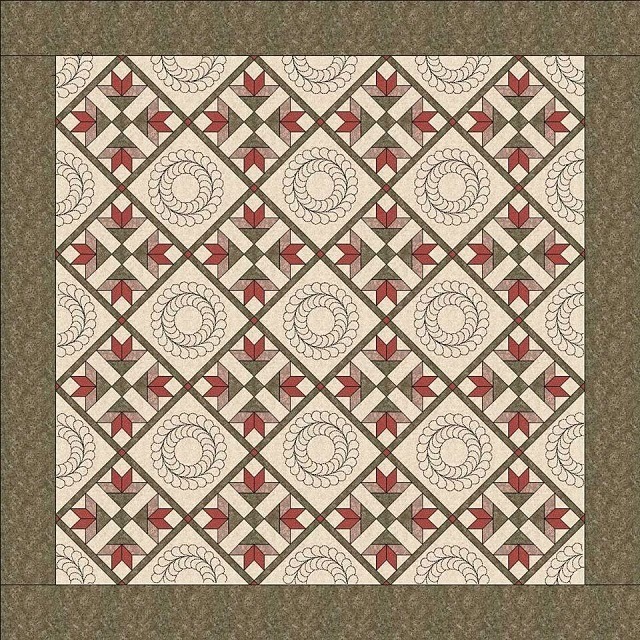 :( The ornament quilt is one of my faves from the book and that quilting is so amazing! Vera! Congratulations on your win - that's fantastic! Very nice of you to give your quilter your prize - I bet she's thrilled :) Your socks are coming along nicely - just in time for the cold weather :) I can't knit a stitch, but I know your feet will be warm and happy when they're in their new toasty home! 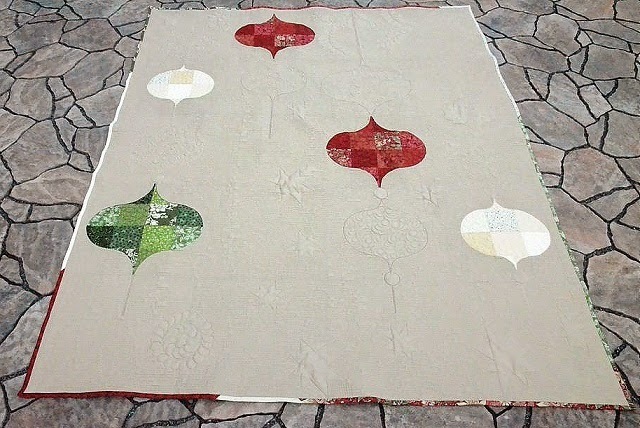 Lovely win Vera - great that you shared - quilting is gorgeous! Yay Vera!!! Congrats on your big win! Congratulations on winning and that is so awesome of you to share with Monika, her work was also just as outstanding, can't believe she didn't place second or third. But really big Congratulations on your new job, so excited for you, good luck. Congratulations. 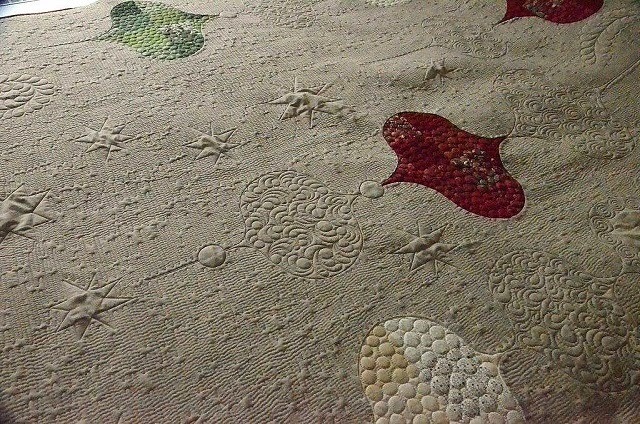 I love the quilting on your friend's Christmas quilt. Enjoy your knitting. well done Vera on your win. And well done on the socks, I love knitting socks. I need to get back into knitting more often, especially while watching Netflix. Also, congratulations! That is such a beautiful and unique quilt. I love anything rainbow. I have not seen a pattern for socks worked like that. Interesting! I am just catching up your blog too Vera. And big congrats!!! I am so happy and exited for you. What a kind person you are Vera that you gave your prize to the quilter of your quilt. i am sure you two will desing many beautiful quilts. Good job hun!